A revolution in ignition technology. The Plasma Direct technology is built in to the coil over plug system which increases spark current significantly, generating a high frequency multi spark during micro second discharge time. 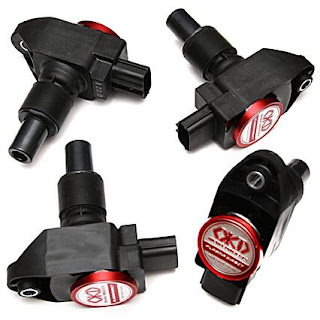 All you need is to replace the ignition coil to one of Okada Projects perfectly fitted coils and youre ready to go!! Compatible with all OEM components.